Our wonderful lead candidate did not win but The Green Party of England and Wales has beaten the Liberal Democrats into fourth place in the European elections for the first time. In pre-election polls, as we past them in popularity, you would have thought this would be massively news-worthy. Mainstream media, including the BBC implicitly undermined The Green Party through omission. Greens have been referred to anonymously as one of the “other” parties (where they have not been completely ignored) in the lead up to elections and in much reporting of results. This is undemocratic and offensively undermining, not only of the party, but of many of the voices of Britain and the democratic system itself. (The Guardian is the main exception to this criticism). The Greens were polling higher than we have for 25yrs. That shift was reported by most, not as a Green Party achievement, but as a failure of everyone else. These polls were reflected in results. We are now the official opposition in Liverpool, Norwich and Solihull. Brighton and Hove Council remain Green. We have Green voices in Labour councils of Islington and Lewisham. In the South West, where I grew up, there is celebration over another Green MEP being added to the indomitable two we already have. The story in the news is the success of UKIP, but just as the success of The Greens has been underplayed, the success of UKIP is overplayed. A deeply worrying movement in public thinking but 90% of the electorate did not vote for them. Many did not vote at all and that, more than anything, helped them win the seats they did. The Greens didn’t win as many new seats as UKIP, but we did not field as many candidates. Nor have any of our candidates been suspended for extreme raciest, sexist, homophobic, anti-Semitic and ablest comments as a growing number of UKIP candidates recently have. We are not funded by large corporations as UKIP is. 99% of the party is run by volunteers and we have less funds than other parties to paper the world with flyers so we focus on target wards. The more members and support we gain the more we are able to build on this; to field more candidates so that everyone who wants to can vote Green. If recent polls and social media trends are read correctly, a growing wave of people are voting Green and even more want to. In the north of the UK UKIP support thins out. In Manchester Greens came second in terms of the popular vote, with 21%. Yet parties with less of the popular vote gained seats and they did not. This is a strange aspect of our system meaning we have to fight even harder than mainstream, better funded parties to succeed. Yet we are truly in the game now, a rising voice of hope working against the rising voice of hate. It has never been more important to stand together. Much damage may have been done by Russell Brand’s call to not vote. Many with preference to Green policies and disillusioned by mainsteam parties have not voted. However, on social media and in person I have heard many others say they voted Green for the first time. Many say it is the first time they ever voted. Others say it is the first time they voted for what they truly wanted. With the general elections only a year away this can only be the beginning of the surge. Hope has tenacity and strength and we have much to strive for and protect for the common good. We must strive against voter apathy, scapegoating and hopelessness and tell the world about our policies. So what can we do now? Complaining to the BBC for its biased reporting of the elections is one thing we would very much suggest. Please see the petition against BBC news media blackout of The Green Party. What we can all also do is tell another story. There are parts of the country where Greens got a large percentage of the popular vote. There are parts of the country where we became official opposition. We held seats and gained seats, both in councils and the European Parliament. We did this in spite of media bias lumping us together in the category of ‘other parties’. We saw surges in the polls and on social media in spite of a mainstream media determined not to report positive stories. A party run by volunteers with policies so many want but fear they cannot have became a rising voice in this election. My story, as social media bod for the East Midlands, is the over 24hrs in which #VoteGreen2014 was showing as one of four most popular hashtags on Twitter. At one point it appeared the second most popular hashtag. The other party people were talking about voting for was, unfortunately, UKIP. Occasionally Labour was also one of the popular discussion points. This means everyone seemed to be talking about voting either UKIP or Green. On Facebook, I saw people who once would have dismissed us sharing Green Party flyers and talking about our policies. I remember saying to my husband as he waved tea in front of my face while I continued my role in the growing team keeping Green seen, that this was democracy awakening. More people were not just voting for the usual suspects. Those voting in fear included those fearful of economic and job uncertainty. It is our combined job now to continue to convince people that Green Party is the party fighting austerity and for job creation and bank reform; measures that will protect them. We have to fight the wave of hatred and the excuses for bigotry. Humanity has been here before. The ugly fact is that hatred has won seats and the map has new shadows across it. The good news is that Greens are in a stronger position to strive for the common good. We need all hands on deck to build on this. Categories: Campaigns, Democracy, EU, jobs, News & Views, Policies, Regional News, Representatives, Society | Tags: change, economic policy, Green Party, Hope, jobs, MEP, policy, UKIP | Permalink. First of all I want to thank all the people who voted Green; and all the Green candidates and members who have been working tirelessly in this campaign. After returning from our short stay at Kettering for the count yesterday, I have recovered from my disappointment. I knew that our chances of getting a seat were slim, but I had hoped for a higher percentage. I also have been concerned about now having two UKIP and two Conservative and one Labour MEPs in the East Midlands; this far right move has also been shown throughout Europe and is seriously threatening our Green, peaceful, equal and fair agenda. Banking reform, challenging corporate power, protecting workers’ rights, improving animal welfare, fighting climate change, investing in renewables and addressing equality in Europe is not supported by the right wing parties. That does worry me. However, after reflections, I think we have done very well – such a strong trend is almost impossible to oppose. In the UK 1,2 million people have voted Green, and this is a clear message that there are many who trust and support or aims. Voters have also clearly shown their lack of faith in the Libdems, and admittedly I was pleased that we got more votes than them. Although I would obviously have preferred Libdems gaining seats to UKIP or the Conservatives. Here in the East Midlands, we came fourth – which is a great achievement. The campaign has also gathered momentum, and it appeared that many were motivated to help, join and some to even vote for the first time. I believe we raised the East Midlands Green Party profile. Someone today reminded me of our slogan of “hope not fear”. And I thought yes, absolutely. Voters and members believe in us, they believe in the positive solutions we offer. Whatever happens from now on in Europe and in the UK, we must continue to get our message out there. Next year, we have local and general elections, which we must focus on. We also will analyse the results and start considering a long term strategy for the Euro elections in five years. That’s how it is, Green activists and candidates have shown that even after disappointments, we just carry on. We reflect and learn regarding election strategies, but continue to fight for our uncompromising values. Because we all believe in our solutions – these are positive and achievable. So than you again for your support, and we are looking forward to continue to fight for a better future for the common good. Categories: Campaigns, Democracy, EU, Regional News | Tags: acting together, EU, European elections, Hope not fear, MEP | Permalink. The East Midlands Green Party has stated that the Liberal Democrats claim to be the only party ‘standing up for Britain’s membership of the EU’ is a misrepresentation. ‘The LD’s are trying to give the impression that all other parties in this election want to come out of the EU and that only they favour continued membership. This is simply not true’, said KB, the Greens lead candidate in the East Midlands. The Liberal Democrat claim was made in their Freepost leaflet. When challenged about the distortion in the leaflet lead candidate Bill Newton Dunn refused to defend the leaflet or take responsibility for it , blaming the “national office” but being unable to tell the Green Party who to direct a complaint to. Categories: Campaigns, EU | Tags: EU, Europe, European elections | Permalink. Extreme Energy – Extreme Risk. Even though Governments and the oil industry will not admit it, the world has passed peak oil production. This is important information that we should be informed about in order for us to be involved in the decisions necessary about our energy supply in the years to come. But with so much investment and share value tied to oil and fossil reserves, the industry, financial sector and the governments they control are keeping quiet, behaving as if it’s all ‘business as usual.’ The markets do not like change, confirmation of peak oil from ‘reliable sources’ would send jitters through the market and weaken investor confidence in the dominant fossil sector. Very rich people would find their investments and therefore their wealth, devalued. So we don’t hear about ‘Peak Oil’ except from scientists and Greens, and they aren’t seen as ‘reliable sources’ by the market. But it’s what the industry is doing that gives the game away. The easy so called conventional oil and gas on land or in shallow water, is running out. Why else is this conservative ultra cost conscious industry investing so heavily in hard to win reserves known as ‘extreme energy’? They are investing in high cost, high risk exploration, trying to find fossil reserves that will reassure the markets that fossil carbon remains a good investment. These explorations include the very deep water drilling, up to 3 kilometres down, off the coast of Brazil and in the Gulf of Mexico, the mining of Canadian tar sands, mountain top removal for coal in the Appalachians, fracking and underground coal gasification [UCG] that is about to be launched in the UK. These sources of energy, to which we can add nuclear, because of the uninsurable risk associated with nuclear accidents – come with a high price tag. The technology needed is either in an early stage of development or it is being stretched well beyond its design capacity, as happened with the Deep Water Horizon disaster in the gulf of Mexico. Because of this the risk associated with extreme energy is much greater than with either conventional energy sources or with renewables. However the industry will do everything it can to transfer this risk from its balance sheet to the customer and then the taxpayer as the insurer of last resort. One way or another we will pay a high pricer for extreme energy. Even if risk costs are externalised, that is: passed on to the community and tax payer, the cost of bringing extreme energy to market remains high and will increase as reserves become more difficult to find. For this reason the price of energy from fossil fuels will continue to rise in to the future. The big six energy companies will use their dominant market position to protect their profits and therefore share and dividend value. The age of cheap fossil energy is over and the only way prices of fossil energy can be brought down is through Government subsidy. This is what the ConDem Government is doing when it gives tax breaks and cuts regulatory costs. But even with this support the costs of extraction and processing is high and will be reflected in market price. Without doubt, we need a secure and sustainable source of energy that we can rely on well into the future. Fossil fuel is not this energy. By its very nature is is limited in supply and is getting more expensive to find and is damaging to the global environment. The energy future that can deliver reliability is renewables, it has to be, by their very nature, renewables are limitless. The wind will always blow, the sun will shine the tides rise and fall somewhere all the time. The technical challenge is to connect up these various technologies in to energy grids that cover large areas so that energy can flow from high generating areas to the becalmed areas. Developing this super-grid and building the appropriate generating plant will initially be expensive, but developing this system is an investment in the future and once mature, it will deliver reliable and affordable energy. This has happened in Germany where because of its investment in renewable energy generation, the wholesale cost of electricity is falling. True that the retail price remains high because of green tariffs that are designed to pay for the switch from fossil-nuclear to renewable. But as the technology matures and the grid is developed, tariffs will fall and so will prices to the consumer. This will not happen in the UK thanks to the policies of successive governments. In the future we will be paying a premium global market price for gas, having been made reliant on gas power generation by Gideon Osbourn. The fracking venture will prove to be an expensive flop and underground coal gasification will rack up a huge price tag in environmental damage that we will all have to pay for. Nuclear will deliver profits to French and Chinese state owned companies at our expense, but again it will fail to live up to the hype leaving us instead with a very costly clean up bill that will be greater than the value of the energy generated, plus the ever present risk of a major nuclear accident. Green Party Energy policy aims to move energy generation from this high risk strategy that is based on extreme energy to a secure and sustainable energy supply system based on renewable sources of energy. It can be done, Europe’s most successful economy is dong just this. Japan in taking a close interest in German energy policy and for obvious reasons is interested in following this lead. However, this strategy does not suit the big energy companies, and for that reason, the ConDem government is promoting a fossil-nuclear policy based on extreme energy and extreme risk. Categories: Campaigns, Climate Change, Economy, Energy, Environment, Policies | Tags: climate change, environment, fracking, future, peak oil, policy, renewable energy | Permalink. The Green Party recognises that bovine TB is a serious problem, that it threatens the livelihood of many farmers, causes undue stress and costs the taxpayer around £50 million a year. The problem has become progressively worse since the early 1980′s and successive governments have failed to develop a satisfactory policy to combat it. This Coalition Government is no exception. As the Defra website understates: ‘A number of different measures have been tried to control the TB in cattle by culling badgers. None of these were entirely successful. ‘ Put more simply, policies, largely reliant on culling, but including movement restrictions and herd testing, have failed. The measure of this failure has been the progressive spread of the disease from a few remaining residual pockets in the West Country in the late 1970′s to most agricultural areas of mainland Britain. The disease has been spread by the movement of infected cattle. As Environment Secretary Owen Paterson says, “Bovine TB is spreading at an alarming rate and causing real devastation to our beef and dairy industry.” Such a rapid spread could not be caused by badgers who, if undisturbed, will remain in a restricted locality for the whole of their relatively short lives. There is evidence to show that the level of disease on badgers lags that in cattle in the same area. If badgers were causing the spread, the disease would be higher in their population than in cattle. In addition, infected cattle are found in areas with no badger population. It is true that badgers can pass the infection back to cattle, but most infection is cattle to cattle and always has been. First, while badgers are clearly a source of cattle TB, careful evaluation of our own and others’ data indicates that badger culling can make no meaningful contribution to cattle TB control in Britain. Second, weaknesses in cattle testing regimes mean that cattle themselves contribute significantly to the persistence and spread of disease in all areas where TB occurs, and in some parts of Britain are likely to be the main source of infection. Further, the report recommended that: Scientific findings indicate that the rising incidence of disease can be reversed, and geographical spread contained, by the rigid application of cattle-based control measures alone. These measures include improved bio-security on farms to prevent contact between badgers and cattle, regular testing of cattle, and strictly controlled movements linked to the testing regime so that no infected cattle are moved and an improvement in the reliability of the bTB test. The clear message is that culling is unnecessary and can be counter-productive. It should be noted that this ten year study included a scientifically based Randomised Badger Cull Trial designed to test the effectiveness of culling in both infected areas and in clear areas to check the spread. The report stated:RBCT results showed that reactive culling [in response to an outbreak of the disease] increased, rather than reduced, the incidence of TB in cattle, making this unacceptable as a future policy option. On Proactive culling, designed to stop the spread of the disease in clear areas the report found: reduced TB incidence in cattle in culled areas. However, …. this beneficial effect on cattle breakdowns was offset by an increased incidence of the disease in surrounding un-culled areas. 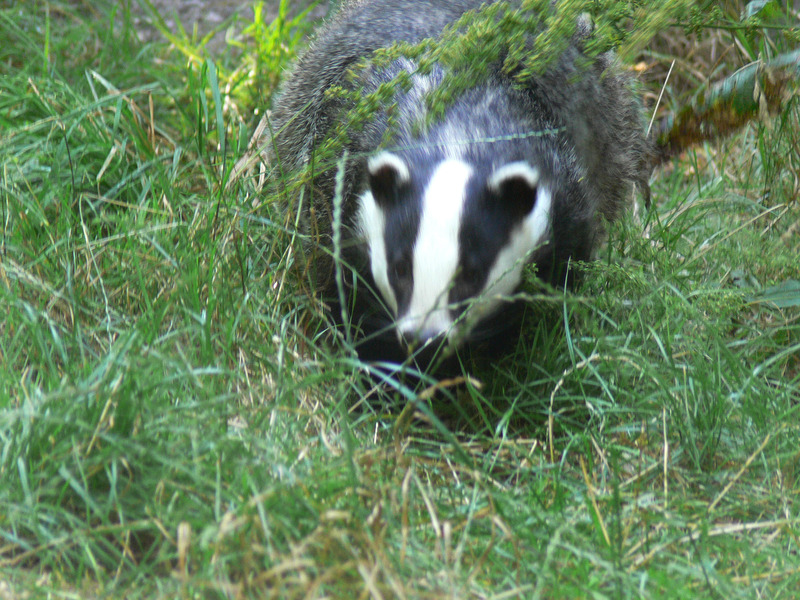 The Green Party accepts these scientific findings and strongly opposes the new badger-cull pilots as contrary to the clear scientific evidence; we also have significant animal-welfare, public-safety and ethical concerns. Caroline Allen, a practising vet who speaks on animal welfare issues has said, ‘..the measure of success of the cull is a reduction in TB of around 15%, i.e. leaving 85% of the disease untouched, this all seems completely nonsensical.’ She also noted that the Government has cut funding for vaccination trials. This decision is also nonsensical. Greens support the decision by the Wales Assembly to scrap the cull and fund a scientific vaccination trial. We strongly support those independent groups, including Derbyshire Wildlife Trust, who are raising funds from the public to run a five year trial of vaccination in the badger population. We endorse the Trust’s strategy to control the disease through vaccination and increased biosecurity on farms and call on the Government to provide funding for measures such as electric fencing and badger gates to segregate cattle and badgers. The Government must also increase funding for an oral badger vaccination and for improved cattle testing. It must work with the EU to get approval for the use of the available cattle vaccine and to get increased funding for improved treatments. In addition the movement restrictions on animals from infected areas must be more strictly enforced. If farmers are serious about bringing bTB under control in the UK, they must accept the science, stop treating badgers as a scapegoat and adopt this packet of measures. They require a lead from Government and from the NFU. If these bodies will not give this lead, then farmers like so many other section of society must turn to those who will give the lead needed and vote for a change of leadership, both of the NFU and of the country. Please Sign the anti-cull e-petition and get your friends to do the same. The No 10 petition to stop the cull has now passed 220,000 signatures. http://www.derbyshirewildlifetrust.org.uk/badgersCulling Badgers will not stop bovine TB. Categories: Animals, Campaigns, Environment, Health | Tags: badger cull, TB | Permalink. I must interject that the police are not always like this at demonstrations. Years ago at the largest ‘Stop the War’ march in London, police officers helped us get over barriers in an overcrowded area and gave directions and smiled. This blog piece is not anti-police but more broadly anti-injustice and pro democracy. Many people are unaware what fracking is and there has been little or no public information. Fracking adds to ground water pollution, destruction of communities, destruction of natural habitats, destruction of human health. Fracking increases climate chaos and decreases potential job provision in jobs rich green energy. Our government is subsidising oil companies with millions for this destructive process, which speaks volumes about its lack of economic efficiency. This is unforgivable in the present economic and environmental climate. The total absence of any kind of opposition by the Labour Party is also unforgivable. Whilst the cost of green energy goes down as its effectiveness increases, the cost of fracking will increase as its effectiveness decreases and the damage it creates for humans and habitats grows. In the UK we can boast some of the most diverse natural habitats in the world, with animals and vegetation and whole ecosystems dependent on a balance being broken. Those eco-systems include us. We need a healthy environment to live in too. We are breaking land and communities if we do not fight the frack. We need to redefine our understanding of the word ‘criminal’ when people are led away for exercising their legal right of protest peacefully. We must question whether under such circumstances we are in a democracy or what another regional Green Party member termed a ‘mature oligarchy’; a carefully constricted ruling by the few. We need to redefine our idea of how the law is used when environmental laws and human rights law are side-lined in order to push through an inadequate, wasteful and damaging energy program. We need to question our protectors of the peace when peaceful protest meets the brutality of protesters’ faces pushed into the ground or young men picked up by their ears. Yesterday there was criminality and there were arrests but it was not the criminals who were arrested. This blog post urges you to join the peaceful but vocal fight against fracking. Support Caroline Lucas MP and The Green Party as the only political party challenging this insanity and short-termism. You do not have to wear a rainbow jumper to protest. The threat of fracking affects us all, from all walks of life, our heritage, our health and our future. FIGHT THE FRACK, JOIN THE GREEN PARTY – FAIR IS WORTH FIGHTING FOR! Categories: Campaigns, Climate Change, Economy, Energy, Environment | Tags: Energy policy, land, law, social justice, water | Permalink.